(CNN) One of the biggest mistakes analysts made in the 2016 Republican primary season was not listening to what voters were telling them. The early polls said Donald Trump had a good chance of winning, but many (including yours truly) decided to dismiss them because they didn’t match with our preconceived notions of what Republicans would want. Biden doesn’t check the boxes on many qualities analysts think Democrats could potentially want (nonwhite, progressive, women, young etc. ), so we think his early lead in the polls is mostly because of name recognition. Yet, new polling suggests that what Democratic voters say is important to them in 2020 is Biden’s equivalent of a Jeopardy dream board. Earlier this week, CNN released a poll in which voters were asked whether certain factors were important to their vote choice, and then whether it was the most important. The top three factors line-up with Biden’s arguments for the nomination pretty much perfectly. More Democrats (26%) said beating Republican President Donald Trump was more important than anything else. That’s not too surprising given that Democrats really don’t like Trump. Biden, of course, will claim (rightly or wrongly) that polls showing him leading Trump by the most of any Democrats demonstrate that he is the most electable. The second highest percentage of Democrats (16%) said that having the right experience to be president was the most important factor. Again, that’s probably not too shocking because Democrats don’t like the President and he came into office without any elected experience. Biden can almost certainly claim he has the right experience to be president. He’s a former two-term vice president and long time senator. Finally, 9% of Democrats say they want someone who is willing to work with Republicans to get stuff done. Biden is known for reaching across the aisle and has a fairly moderate record compared to other 2020 contenders. Biden even received some criticism earlier this cycle when it was learned he said nice things in a paid speech in front a Republican-leaning audience about Republican Rep. Fred Upton ahead of his tough 2018 re-election. Besides these three qualities, CNN tested another four for importance among Democratic voters. All of these are closer to what people such as myself might have thought were most important and are among Biden’s weaknesses: consistent positions over the years (see Biden and his apologies for pushing hard crime laws in the 1990s), holding progressive positions (see: Biden’s fairly moderate record), bringing an outsider perspective to Washington (see: Biden serving in Washington for over 40 years) and representing the future of the Democratic Party (see: Biden being 76 years old). Combined, only 18% of Democrats said one of these factors was the most important to their vote choice in 2020. In other words, Biden’s supposed flaws that many of us have looked at to doubt his candidacy aren’t really all that important to voters at this point, according to the poll. The tendency to dismiss Biden is probably exaggerated because of who he is winning support from. If you were to ask members of the media who they think of when they think of the Democratic base, the answer is probably young and liberal people. They are certainly more likely to be part of the online Democratic intelligentsia. These groups are not Biden’s base. In a Monmouth poll released this week, Biden was actually in second place in the Democratic primary with those under 50 and liberals. He didn’t even hit 20% among liberals. Luckily for Biden, about half of Democratic voters are 50 years old or older or not liberal (i.e. moderate or conservative). These voters are Biden’s base. In the Monmouth poll, Biden was at about 40% with no one else even in the double-digits among moderates or conservatives and those 50 years old or older. 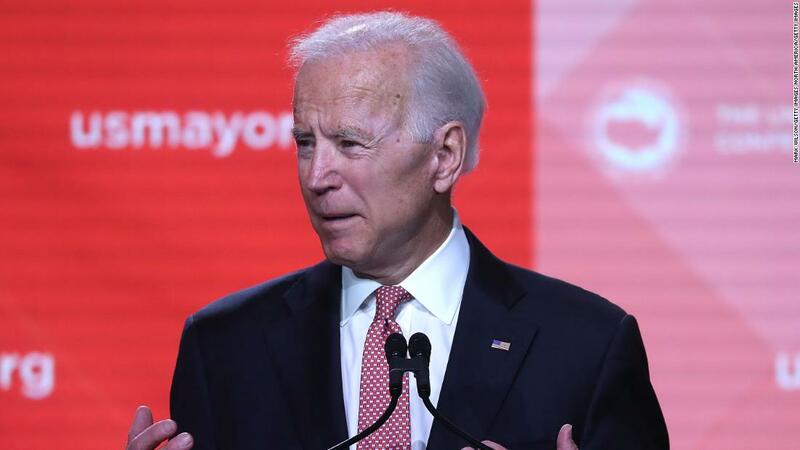 While the comparison is certainly inexact, what’s going on with analysts and Biden reminds me of Trump’s 2016 primary campaign to a degree. It’s not just that both have early leads in the polls. It’s stuff like Trump and Biden lacked ideologically pure records, while their party bases were going to the extremes. Four years ago, this was one of the reasons used to dismiss Trump and is partially causing us to think Biden will falter. This occurred even as there were signs that voters thought other factors were more important than ideologically purity. Moreover, there’s a similar element of who forms Biden and formed Trump’s bases that leaves analysts in a bit of a blind spot. For Biden, the base is the old and moderate crowd I just spoke about. For Trump, it was non-college educated whites. The conservative (and mostly college educated) intelligencia didn’t like Trump in 2016 and many still don’t today. Yet, that’s not who the actual Republican base was or is. Now it’s easy to overlearn from 2016. Biden’s campaign may fall apart once other Democrats start picking at his record. In fact, I’m betting on it. Still, as discussed here, there’s a lot of doubt in my mind about it.